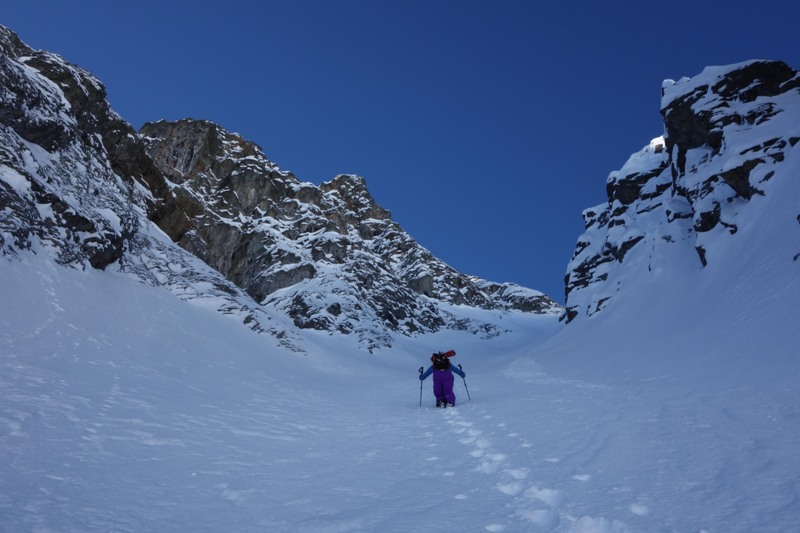 One of the things I love most about ski touring is exploring new areas. 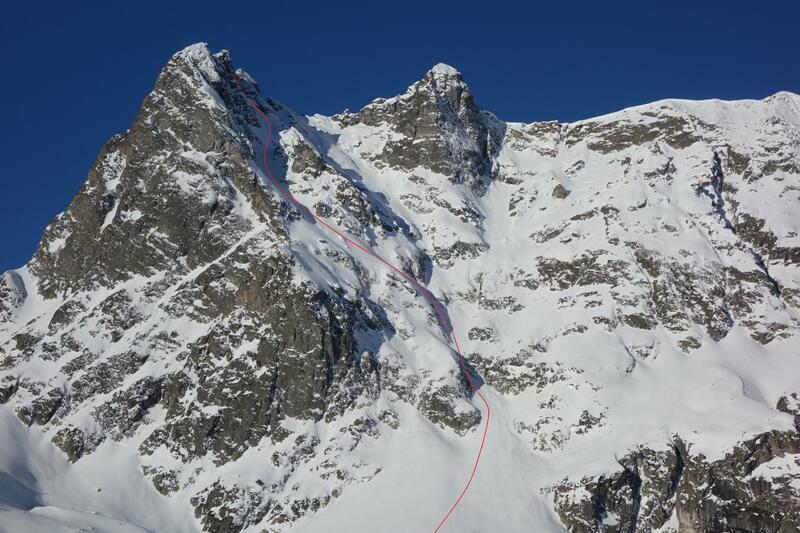 If that can be combined with skiing a great line in good conditions then for me skiing doesn’t get much better. 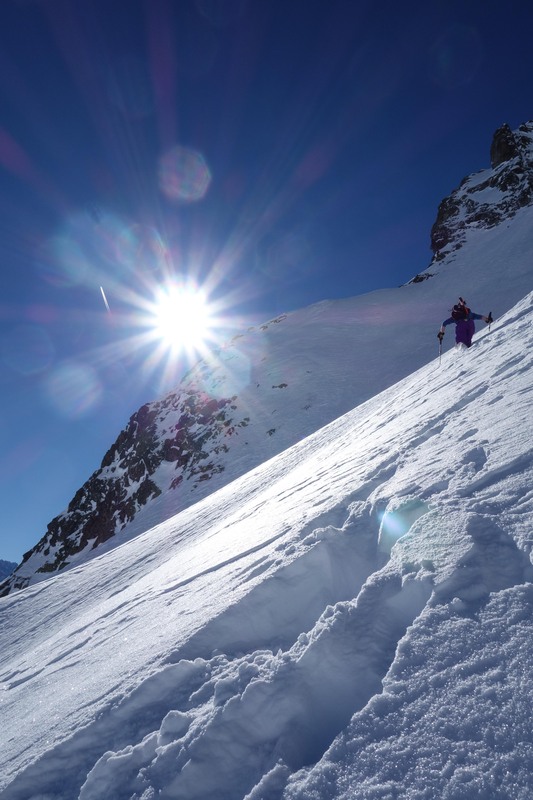 By some careful planning and a good dose of luck Joel and I managed to tick all these boxes earlier this week when we went to check out the peaks around Loriaz, an area neither us had skied before. 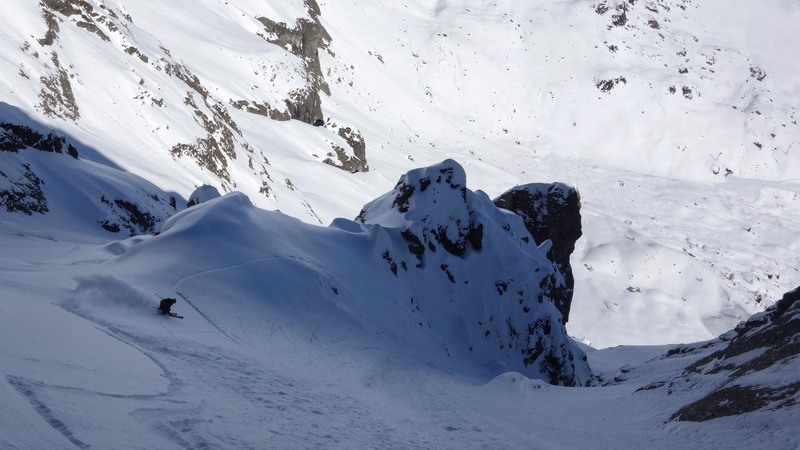 We ended up skiing the NNE couloir of the Cornes de Loriaz, an aesthetic line that snakes its way down the face and offers about 500m of moderately steep skiing (according to the guidebook, the couloir averages 42 degrees, the crux being the first 70m or so where it is steeper and quite tight). 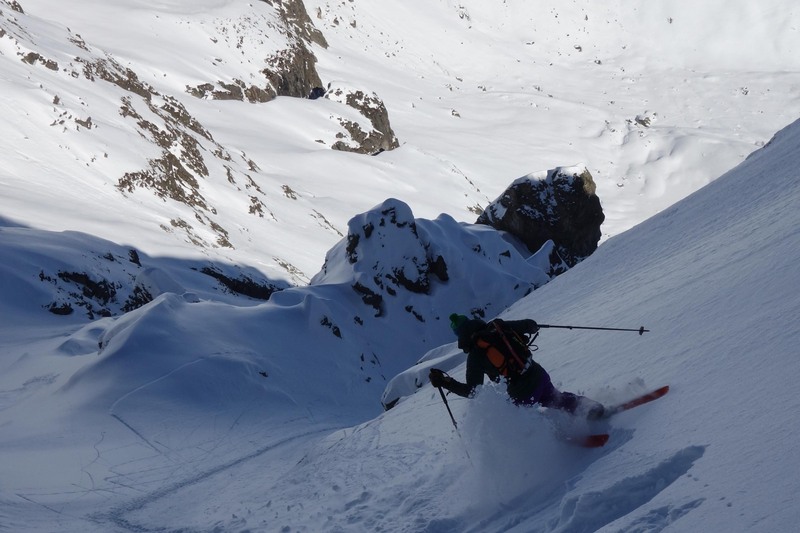 We found the line in great condition, with perfect spring snow on the approach slope and cold powder on the face itself. Hard work on the ascent, but well worth it for the descent. The starting point for tours in this area is Le Couteray. 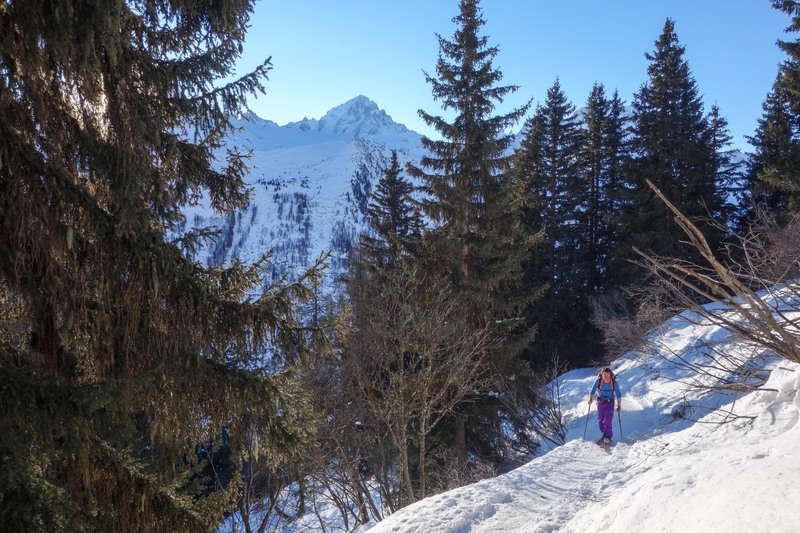 This small village is just a 2 minute walk from Buet, the finishing point for many tours in the Aiguilles Rouges, yet the area sees only a small fraction of the traffic received by its popular neighbour. 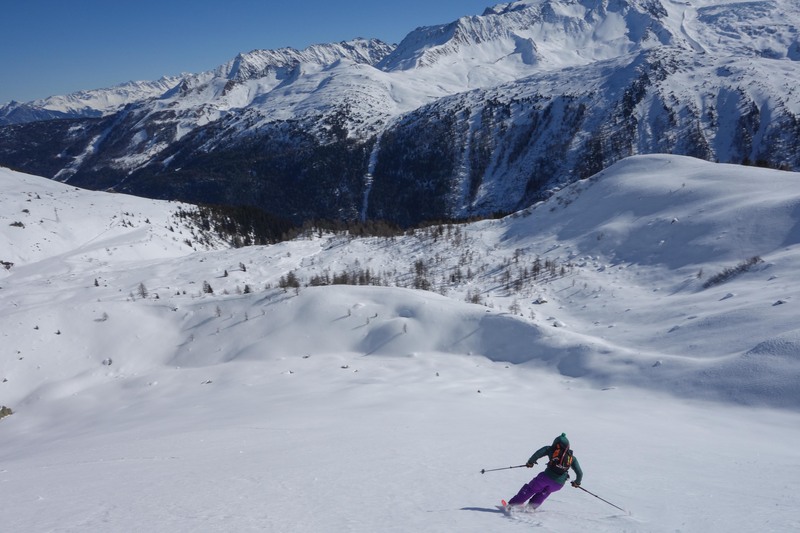 After about 600m of skinning along forest trails you reach the Loriaz plateau, from which you can check out conditions on most lines in the area. 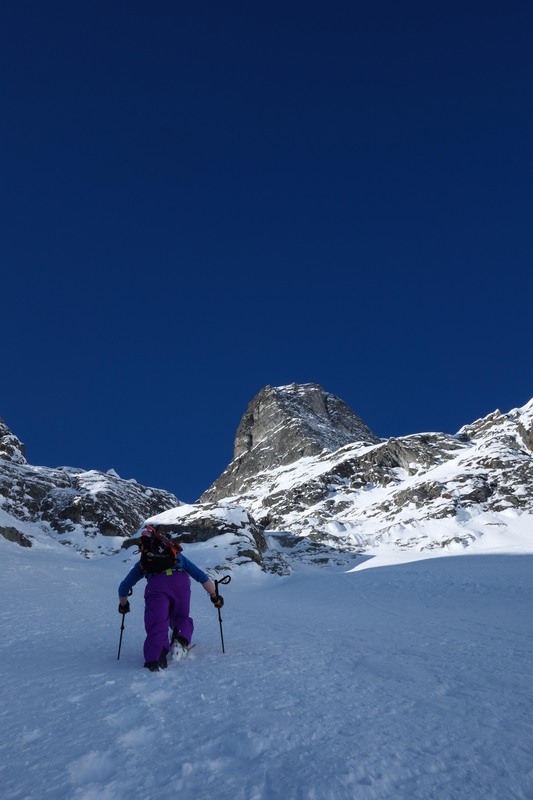 After a 500m bootpack, you can clip into your skis and enjoy the descent. 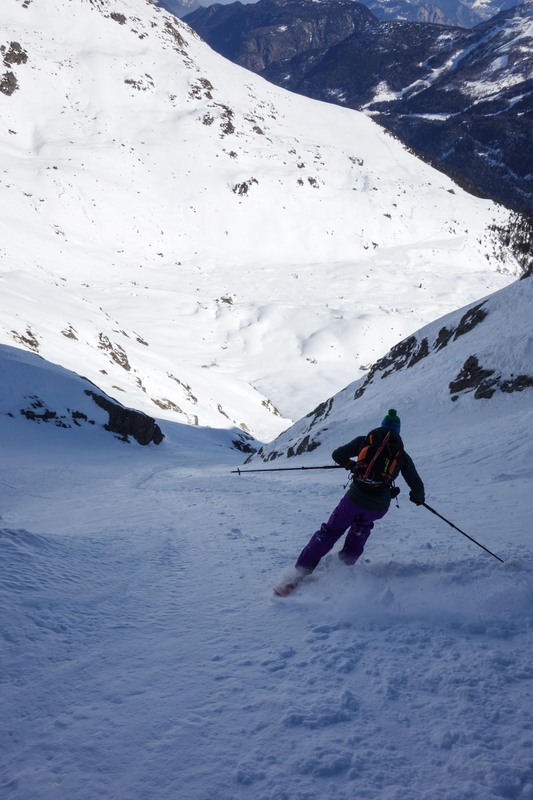 Joel puts in some turns on the steep upper section. 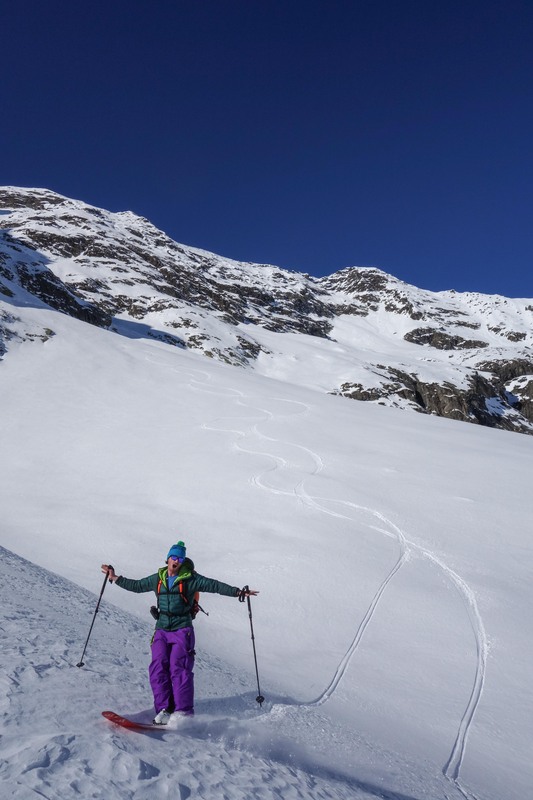 More fun turns in good powder. Joel ripping it back down the approach slope on perfect corn. 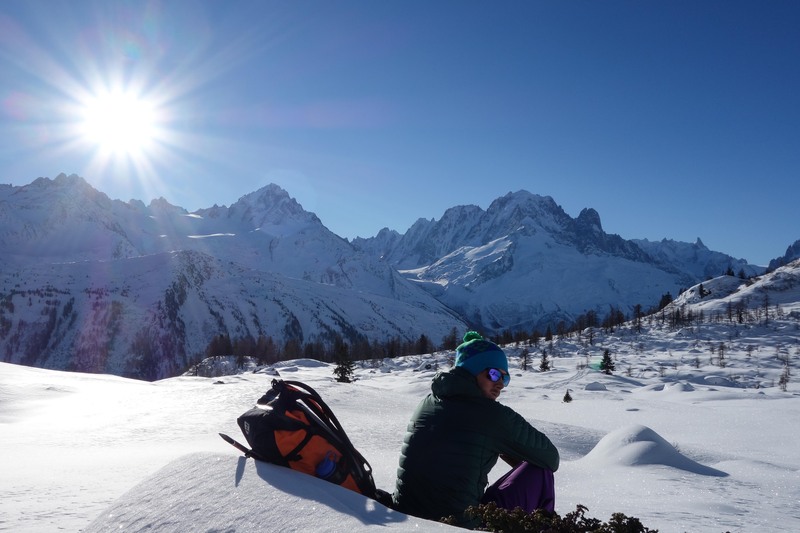 I’ll definitely be coming back to this area in the future and if you’re looking to escape the often crowded classics around Chamonix then I recommend you check it out too. Just don’t go all at once!